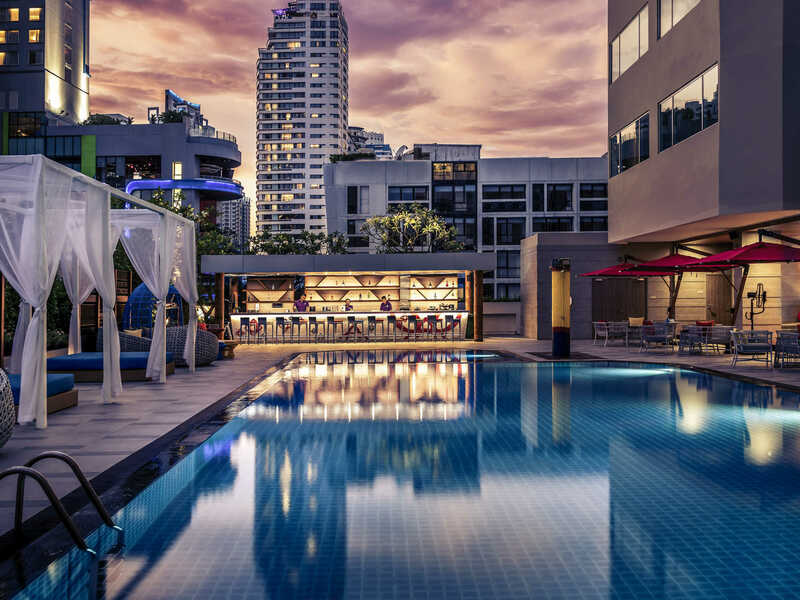 Situated on Soi 11 and close to BTS Nana station, this hotel enjoys a favourable location with easy access to numerous bars & restaurants. The hotel offers large air-conditioned rooms with freee WIFI and there is pool indoor to dive in for few laps. The staff with good English accent is welcoming and the reasonably priced breakfast buffet combined with a relaxing environment deserves a special mention. 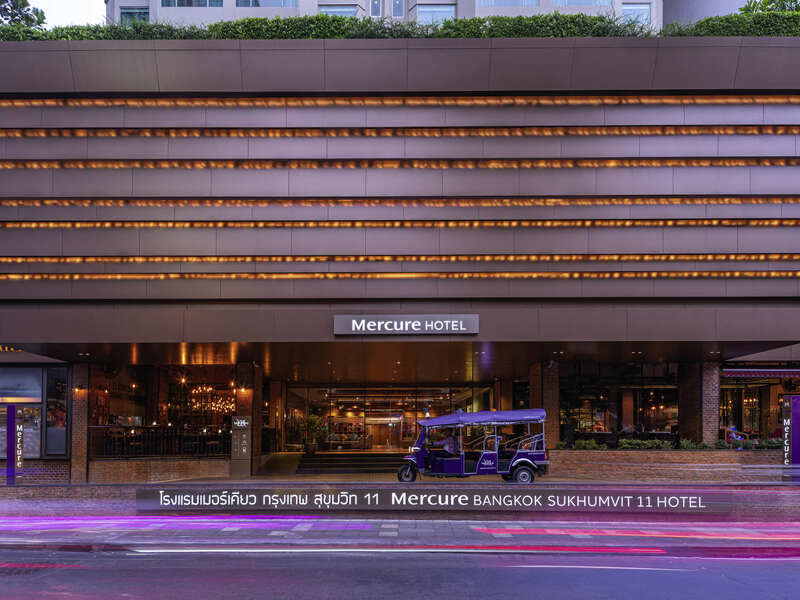 Mercure Bangkok Sukhumvit 11 is a 4-star hotel conveniently located on the bustling Sukhumvit Soi 11. Maintaining a swimming pool and an outdoor pool, the hotel is an experience in itself. The hotel is an ideal accommodation for families and couples. It is situated only a few minutes away from Nana BTS station and the entertainment and shopping districts. 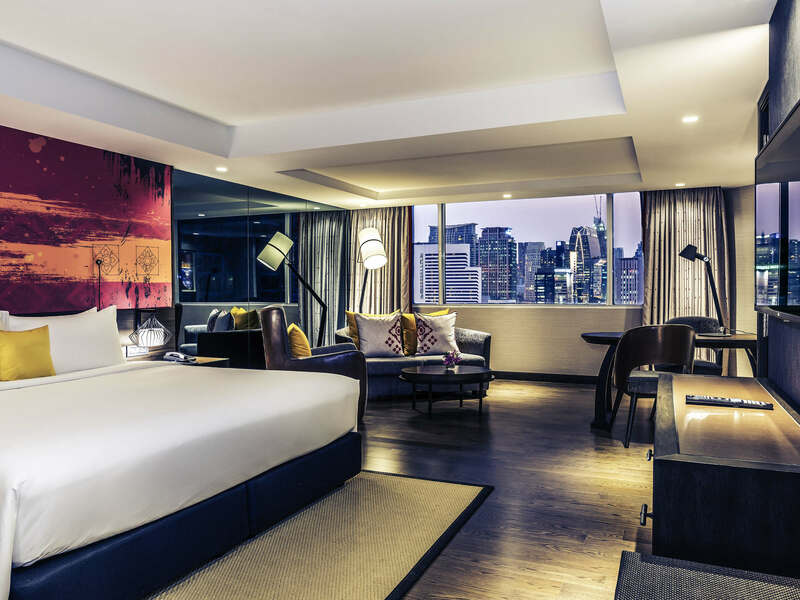 Featuring 232 beautifully decorated rooms with breathtaking rooftop, modern fitness center, and two restaurants, Mercure Bangkok Sukhumvit 11 is one of the best hotels in Bangkok. Its strategic location in Sukhumvit offers guests easy access to the main shopping districts around Siam. Mercure Bangkok Sukhumvit 11 Thailand maintains a total of 232 carefully decorated rooms. It offers rooms under various categories, including Deluxe Room, Deluxe Twin Room, Privilege King Bed Room, Privilege Twin Bed Room, and King Bed Suite. All these rooms have free Wi-Fi access. These non-smoking rooms feature an in-room safe, LCD TV, refrigerator, and tea/coffee maker. Daily newspaper and cleaning services like laundry, ironing, dry cleaning, and maid are also provided. 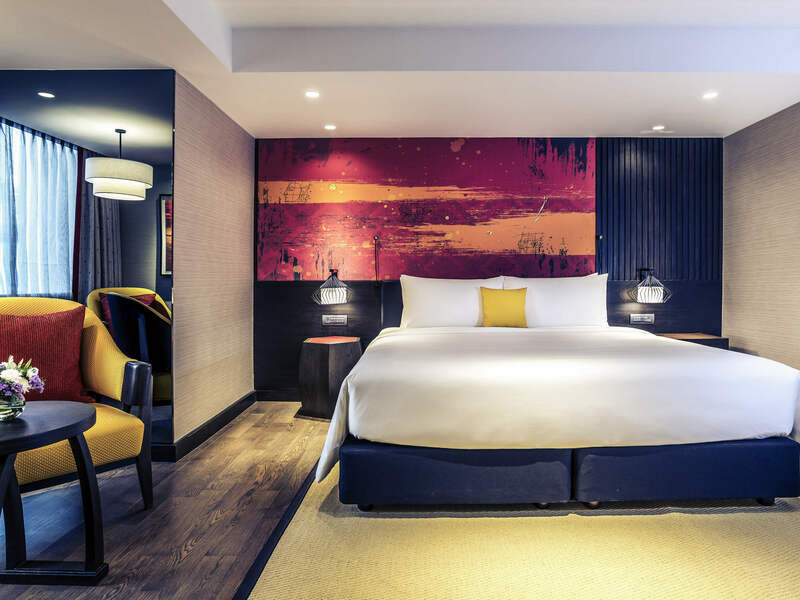 The rooms have a modern decor reflecting the vibrant local culture. Daily breakfast and privilege club access are also offered to the guests. To look after the needs of its visitors, Mercure Bangkok Sukhumvit 11 Thailand offers a luxurious spa and wellness and fitness center. It features fax/photocopying and a business center as well. 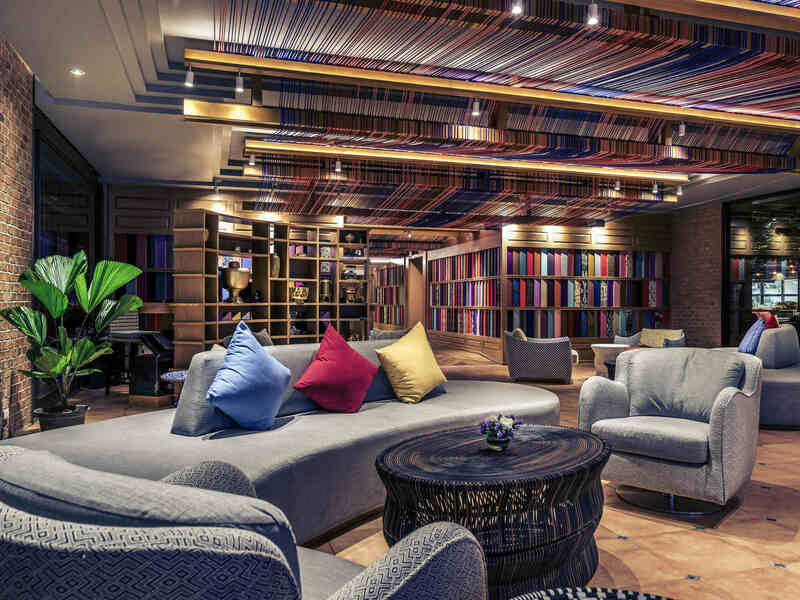 Guests are also provided with a variety of facilities like a 24-hour front desk, tour desk, express check-in/check-out, and luggage storage. Additionally, the hotel provides rental car and shuttle service. Internet access is available in all areas free of cost. For the recreational purpose, activity like Happy Hour is offered. Moreover, outdoor furniture and terrace are also maintained by the hotel. For disabled persons, a wheelchair is accessible and for kids, babysitting/child services are also available. 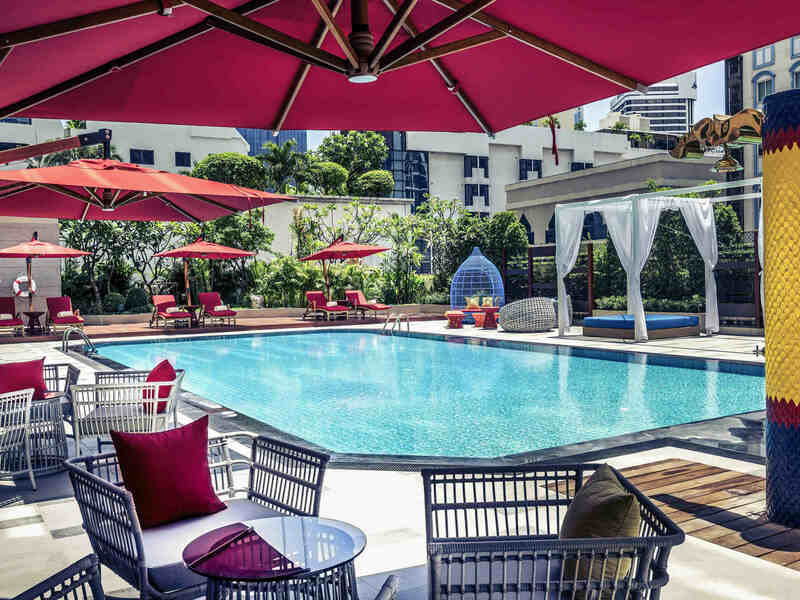 Offering delightful culinary experiences, Mercure Bangkok Sukhumvit 11 features exceptional restaurant named El Gaucho and a pool bar. The restaurant offers a buffet option and a la carte menu to the guests. Famous for the American and Steakhouse cuisines, it never fails to tickle the taste buds of the guests. It serves mouth-watering food that represents the real value of money. To have an altogether different culinary experience, guests can start off with a selection of light bites followed by a choice of different mains and delectable desserts. The pool bar offers a selection of alcoholic and non-alcoholic drinks and light snacks. For a wonderful and unforgettable experience, visit this stunningly decorated hotel with the modern amenities and wonderful staffs. It never disappoints its guests and provides them with a world-class facility along with stunning views. Get mesmerized by the beauty of the views it offers and forgets all the problems and anxieties within. 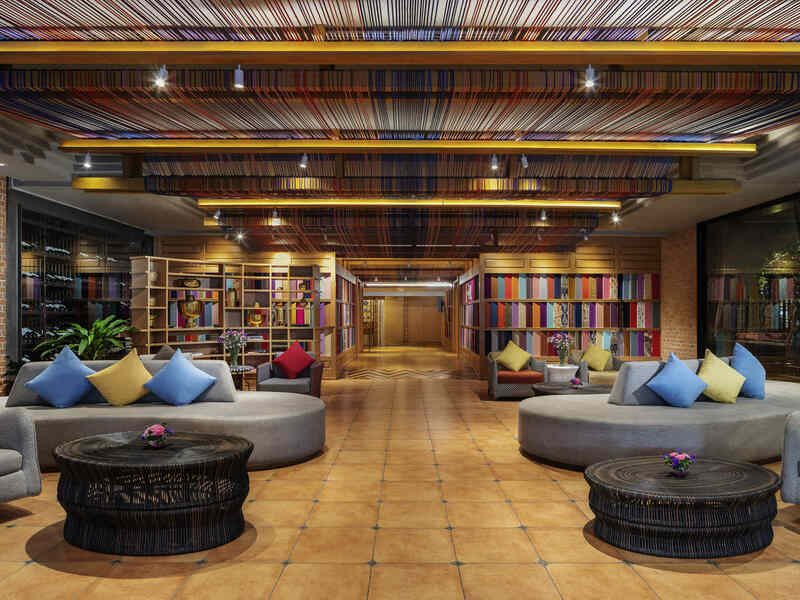 How far is the Mercure Bangkok Sukhumvit 11 hotel from the International airport? 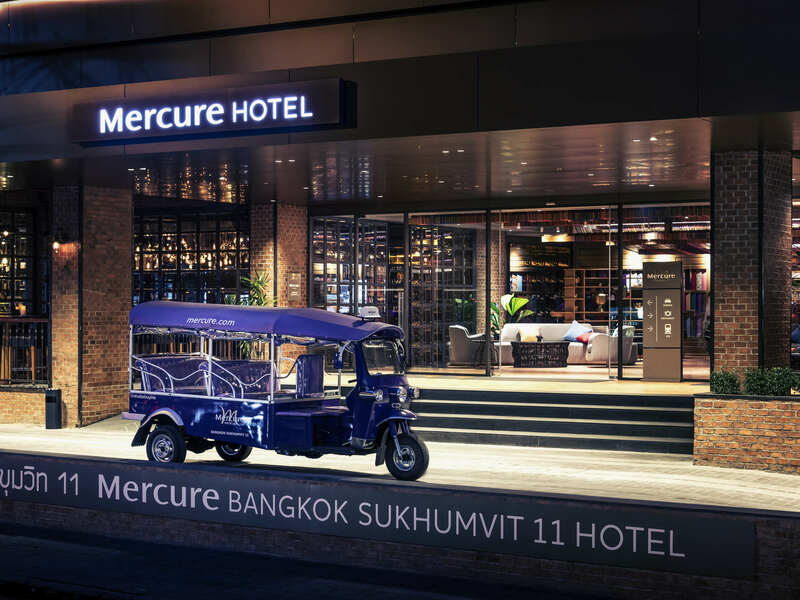 Mercure Bangkok Sukhumvit 11 Thailand is located at a distance of approximately 28 km from Suvarnabhumi Airport. Does the hotel provide free and secured parking facility? Yes, the hotel provides a free and secured parking facility. Yes, Mercure Bangkok Sukhumvit 11 Thailand offers babysitting services. What are the things one can do around the hotel during their stay? Guests can enjoy the breathtaking views from the rooftop terrace. Moreover, they can enjoy the beauty treatment at the luxurious and soothing spa center. Exploring some of the nearby places like Chuvit Garden, Wattana Church, and Soi Nana is also a nice option. Does the hotel provide VIP room facilities? Yes, the hotel provides VIP room facilities. 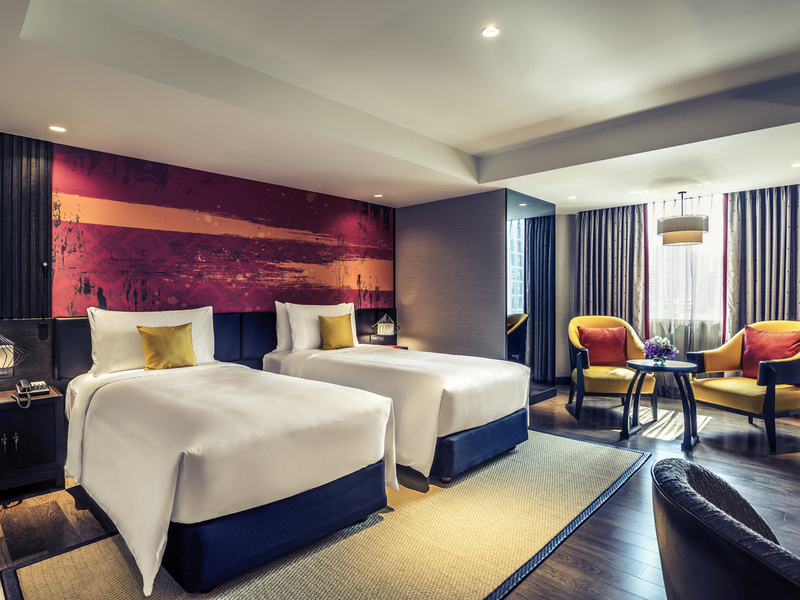 For those, who are looking for a memorable experience, Mercure Bangkok Sukhumvit 11 Thailand is a perfect destination. In order to provide a wonderful experience to its visitors, it maintains excellent lodging facilities that can attract anyone. 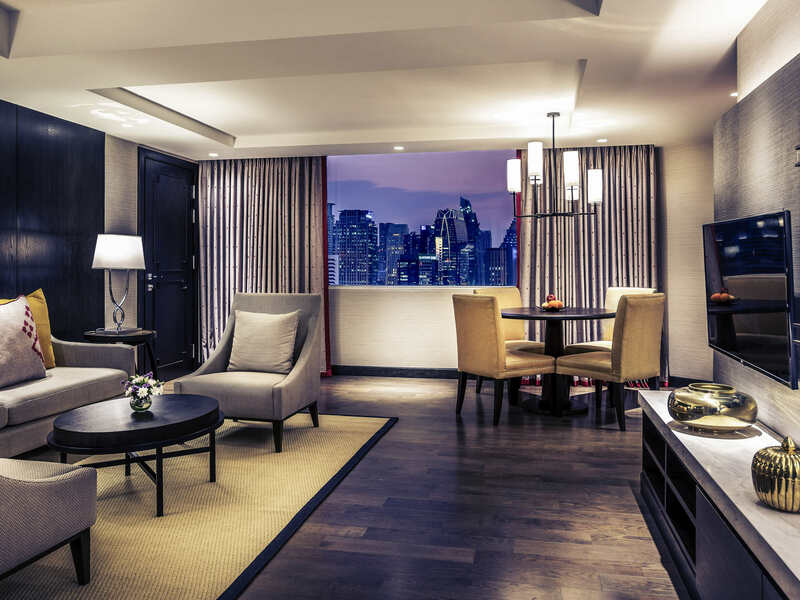 Located at a 5-minute walking distance from Nana BTS Skytrain Station, Mercure Bangkok Sukhumvit 11 offers views of Bangkoks skyline. It has an outdoor pool and free parking. 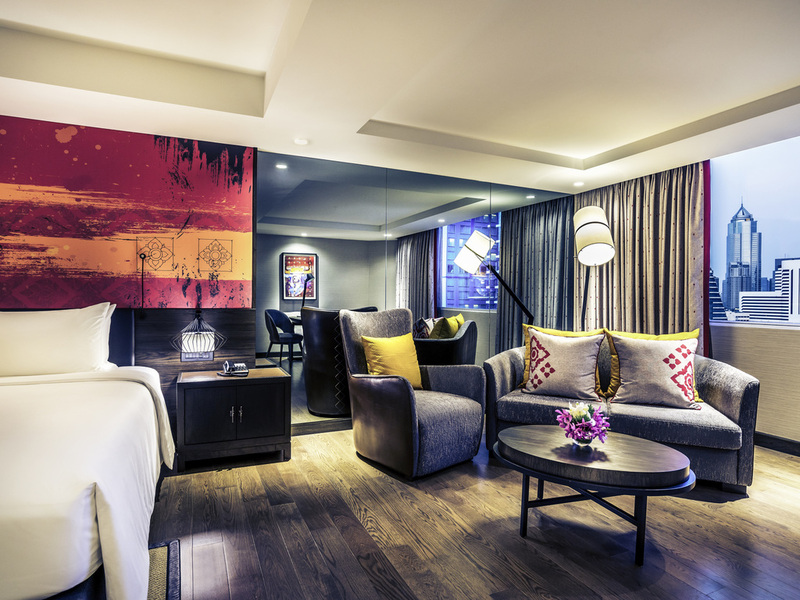 Mercure Bangkok Sukhumvit 11 is a short stroll from the area's popular nightlife venues. The spacious air-conditioned rooms at the hotel feature stylish en-suite bathrooms and flat-screen. Here, one can enjoy stunning views of the city from the rooms or the terrace. Whether its a spa treatment or beauty session, the guests have endless ways to explore. 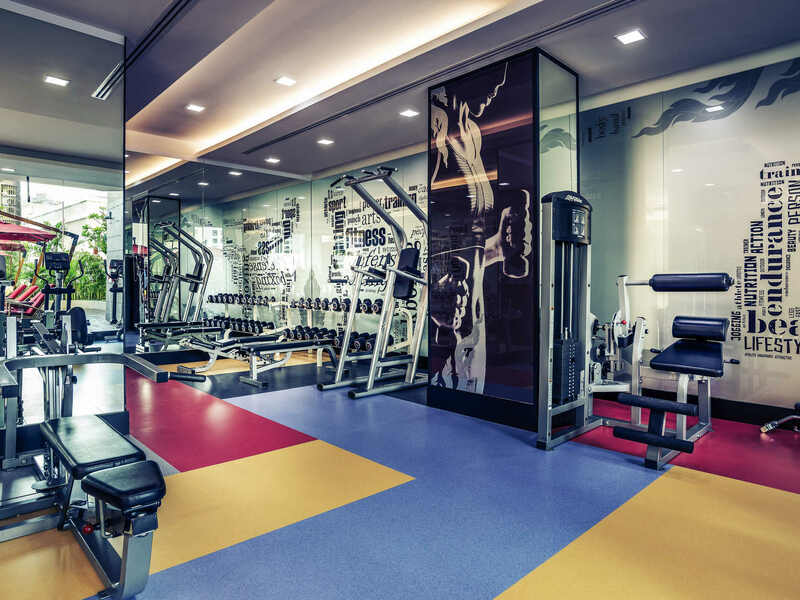 The well-equipped fitness center together with its TV and music channels provides a refreshing workout. The hotel also provides a helpful tour desk and a business. 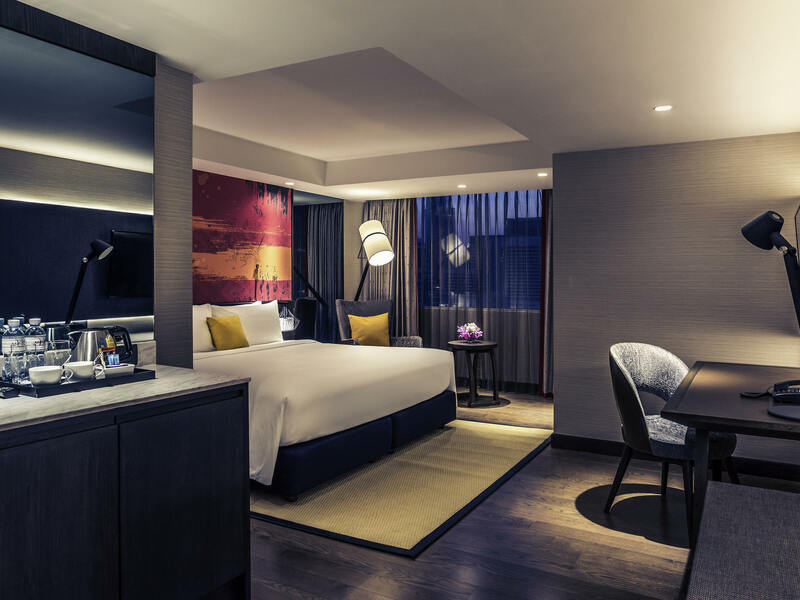 Considering the world-class facilities and services provided by the Mercure Bangkok Sukhumvit 11 Thailand, one can safely say that it is one of the best hotels to stay in Bangkok.